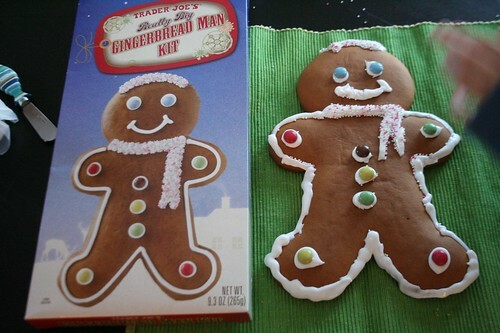 Advent Day 13 :: Make a REALLY BIG Gingerbread Man, originally uploaded by earthchick. I saw this little kit at Trader Joe’s right around Thanksgiving and I snatched it up. 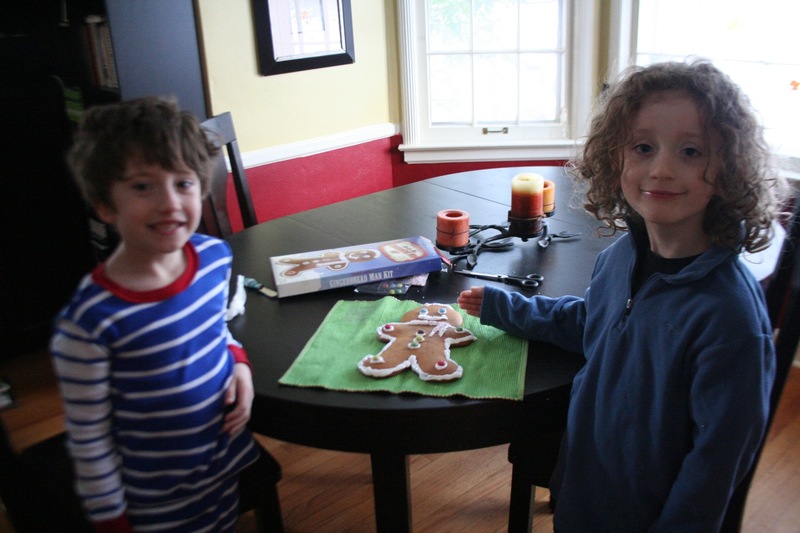 First of all, Little Buddha is crazy about all things gingerbread man. He always has been. 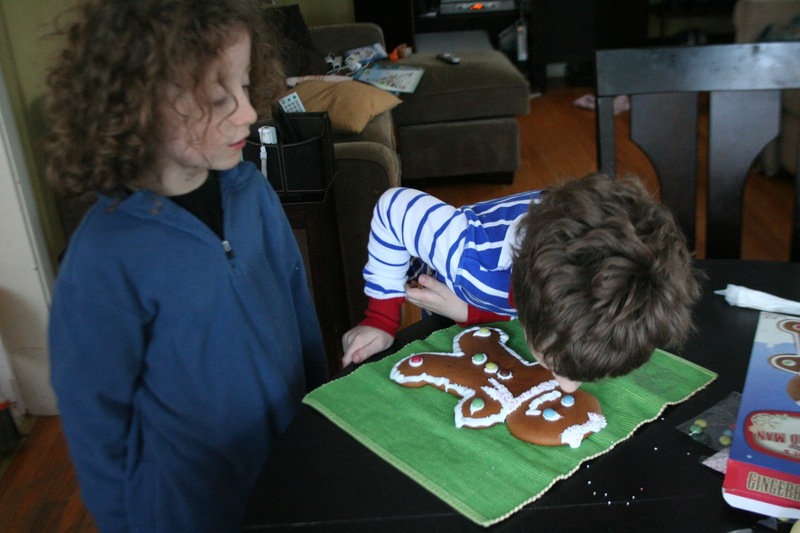 Secondly, it seemed like such a simpler enterprise than last year’s Gingerbread Crack House. As you can see, though it is indeed simpler, I still have a lot to learn about how to decorate with icing. But they were happy with it anyway. In fact, Tiny Dancer could hardly wait for the icing to set.